Use Curves Like a Master! Contrast and tone are a key elements of beautiful photography. Don’t believe me? Choose one of your best images, click on a few of my Curve Presets and watch the magic happen. These stylistic film curves mimic the feeling of film and include masterfully designed point curves that range from cool, to neutral, to warm and even include beautiful and edgy cross processed looks. Not only that, companion Develop Presets take your images even further by adding film grain, contrast, vignetting, and tone for the ultimate control of the style of your image. The curves panel in the Develop module in Lightroom is the very best place for adding contrast to an image, because of the subtlety that can be achieved with the tool. It is one of the more complicated tools in Lightroom, but adding various cures to your develop presets or to the camera raw presets is a highly efficient way to create incredibly subtle effects. Not only is the curves panel a great place for contrast effects, it is also the very best place to create color effects for both toned black and white and color images. The individual R, G and B curves make even better toned images than the Split Tone panel does. In this collection, I have created a series of black and white and color curves that will add dimension and style to any image. If you love the look of film, this is where you will find it. If you miss the fiber paper you printed on in the dark room so long ago, you’re going to love the feel of the presets in this new collection. 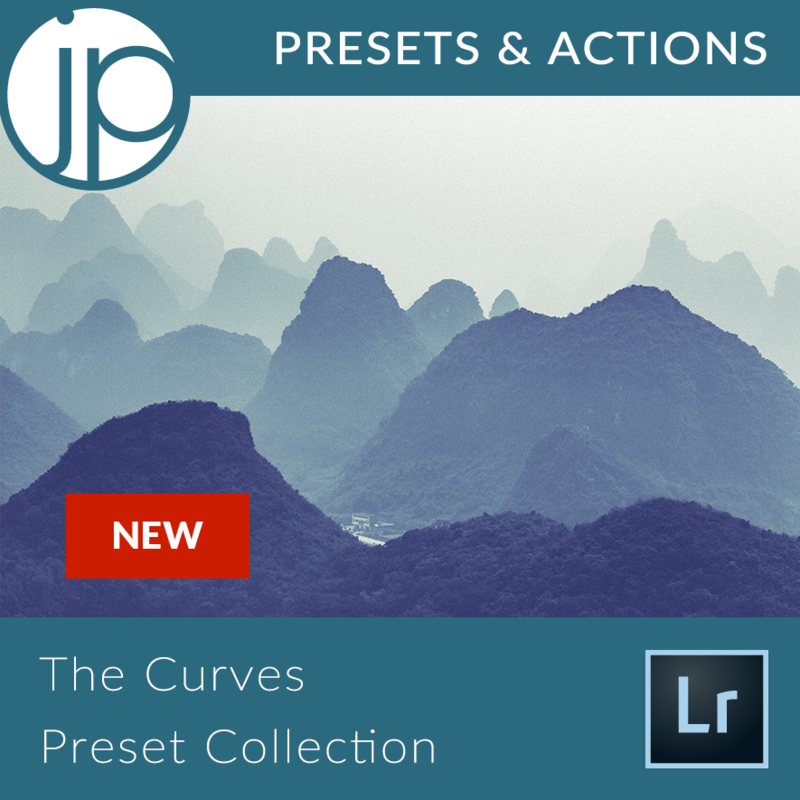 The Curves Lightroom Preset Collection is one of my best collections yet.